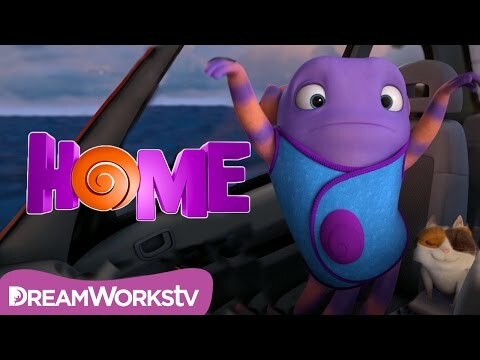 Home movie quotes take viewers on a journey to see if two unlikely friends from different planets can find a home amongst a world of chaos. The animated adventure comedy was written by Tom J. Astle and Matt Ember, and directed by Tim Johnson. 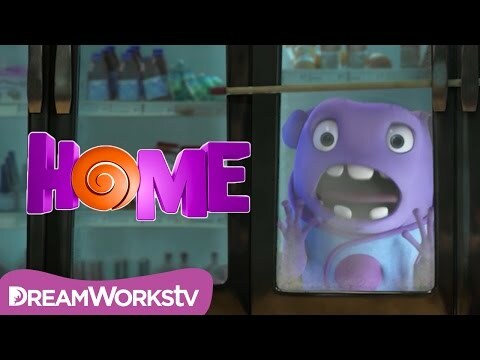 Released by DreamWorks Animation, Home opened in theaters on March 27, 2015. In Home, the alien race of Boov leaves their home planet in search of another to flee their enemies. Led by Captain Smek (voiced by Steve Martin), they come upon Earth and begin transporting the humans on the planet to another. One human, however, is left behind, a girl named Tip (voiced by Rihanna). She soon meets one of the Boov, Oh (voiced by Jim Parsons), who, due to his mistakes, has been banished from his alien race. So together, Tip and Oh, along with Tip's cat, Pig, scour what is left of Earth in search of Tip's mother, Lucy (voiced by Jennifer Lopez). But this unlikely pair will have to face more than their differences as they try to discover the true meaning to having a home. 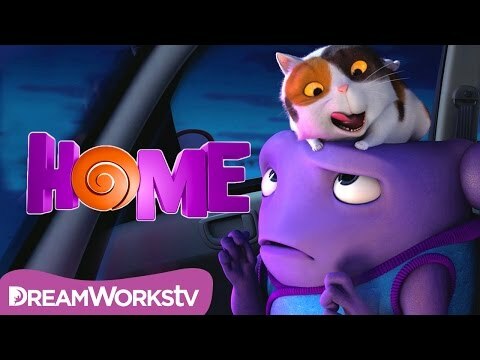 The animated comedy Home brings some family fun to theaters already showing a number of more grown up films such as Get Hard, Insurgent, Cinderella (2015), The Gunman, and Run All Night. Oh: What for are you did this? I am Boov! Tip: I know what you are. Tip: No! You cannot come into the out now. Oh: But I can, you are just having to take away the piece of wood. I will shoot forth the lasers from my eyeballs. Tip: You can do that? Oh and Tip meet in a convenience store where Tip traps Oh in a cooler. Oh uses his charm to transform them from enemies into instant best buds. Tip: Let's have some tunage. Oh: This is not even music. This is just noise... Involuntary physical response! Confusion! What is happening to my body? Oh: Boov do not dancing! Oh: How long before this kills me? I am not in control of my own extremities. Oh: I do not want it to work. Tip: Hey, you know what? Boov rhymes with groove! Shake your Boov thing! Oh: It is shaking in the most undignified way! Oh, no! My hands are in the air like I just do not care! When Tip turns on some music in the car, Oh gets a lesson in dancing. He feels the music and moves to the beat, though not exactly very well. Oh: Ahh! Do not eat the blue mints! Thankfully, there is a large bowl of lemonade. Oh: Do not drink the lemonade! A quick bathroom break provides some useful lessons for Oh. When eating the blue mint (urinal cake) doesn't work out well, he tries to wash it down with what he thinks is lemonade in the toilet bowl. He soon understands that he's made two huge mistakes. Is He Going to Explode? Oh: Your vehicle is infested. Tip: It's not infested. He's my pet. His name is Pig. Don't touch him. Oh: Now he is vibrating... Is he going to explode? Tip: No, he's just purring. Oh: Why do you haves this thing? Is it useful? Does it give meat or milk? Tip: What? Ew, no! You just have pets for fun and companionship. Oh: You has me for fun and companion on this ship. Tip: Yeah, well, Pig is better. Oh: If Cat is Pig, what is your name? Tip: My friends call me Tip. Oh: I have been give this name by my many, many friends. Oh meets a new friend in Tip's cat, Pig. He doesn't quite understand why Tip keeps an unproductive, vibrating pet, especially when she has him there for fun and companionship.